Todays’ lifestyle in cities is fast and very intense. Therefore, many citizens and visitors actively search for places to relax. Often, there is no time for “the escape from the city”, so they look for alternatives. City inhabitants need their "green lungs"
Traditionally, they find them in urban forests. 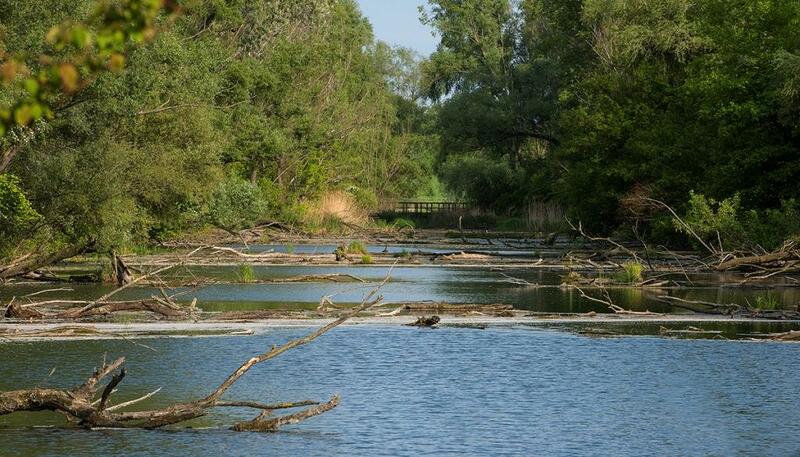 Their status of “green city lungs” is the main reason why forests in the project partner cities have so- far survived all urbanization pressures mostly intact (we have over 35 square kilometres of forests in seven project partner cities, in the photo below you see an old floodplain on Vienna's Danube Island). However, the increasing numbers of citizens (almost 6,5 Million in project partner cities) and visitors (over 15 Million per year in project partner cities) and their need for outdoor activities) put urban forests under pressure. Even if many of the forests are protected as natural/cultural heritage, they are impaired by inappropriate management, overuse and poor coordination between key actors. The City of Ljubljana being the European Green Capital 2016 composed the partnership in order to benefit from its so-far achievements to present new standards in sustainable management. 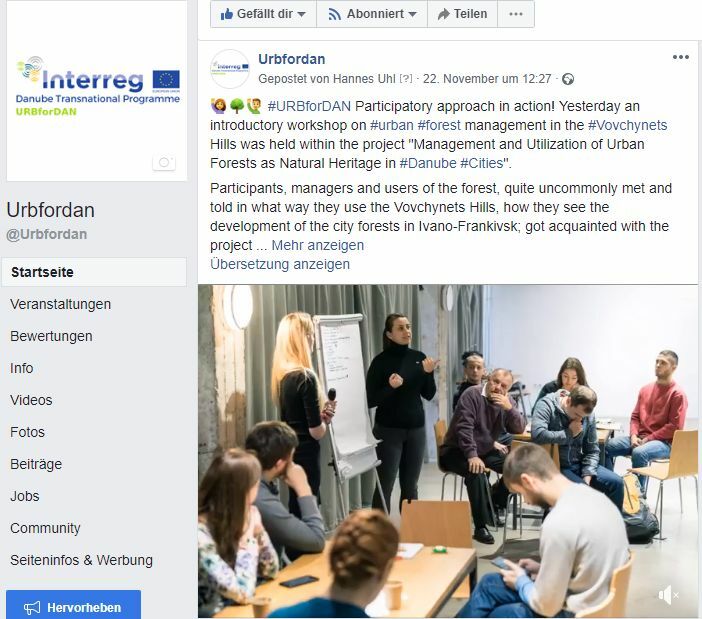 The URBforDAN project aims to approach actual needs and challenges linked to sustainable management of natural heritage within urban areas of the Danube Region. That is why a transnational approach is needed in order for those big challenges to be effectively resolved. URBforDAN is designed to deliver a change in urban forest management and utilization of ecosystem services. They are provided by pre-selected areas in seven project partner cities. The project is intended to keep the current image of urban forests and to make sure that the forest areas become places for socialization, relaxation, recreation and education. Also, a high-quality experience of natural heritage and green tourism for a diverse set of target groups has to be ensured. URBforDAN aims to improve cooperation between key actors to resolve conflicts and improve management of urban forests. At the same time, it aims to enrich “green tourism” in Danube Cities through new and improved services and products, accessible on over 700 hectares of urban and peri-urban forests. feel free to follow us on the internet! URBforDAN - GET SOME IMPRESSIONS OF THE PROGRESS OF THE PARTNERCITYS!